After winning the BBC Good Food Bursary Award to exhibit at the show, we suddenly realised that we had to very quickly adapt our display from smaller shows and markets to a national, flagship event. 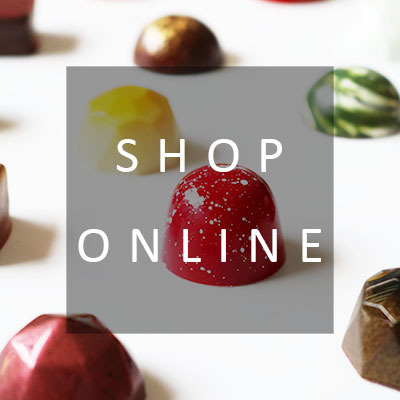 This meant totally re-imagining our stand layout, and adding in new items such as the chocolate cabinet to allow visitors to choose their own personalised truffle selection. Another new gadget we acquired for the show was our hot chocolate machine, which helped us spread the word of real hot chocolate! 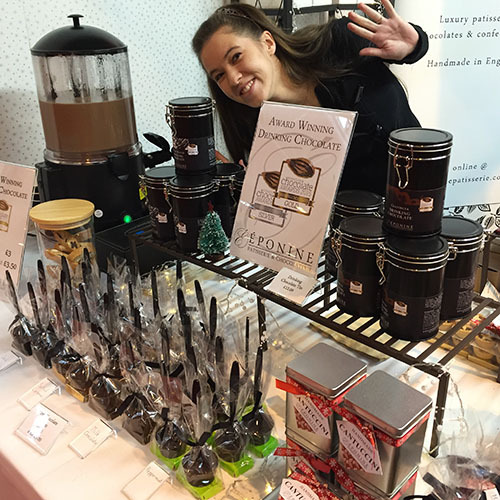 It was great to be able to let customers sample our award winning drinking chocolate, gain feedback from such a vast number of visitors, and see the reaction of people used to the nasty powdered stuff that you seem to get everywhere these days. If you’ve not tried it for yourself yet, where have you been!?! Head over to our online boutique and get hold of a tin to taste the difference for yourself. With hot chocolate flying out, we had to have something to serve with it. 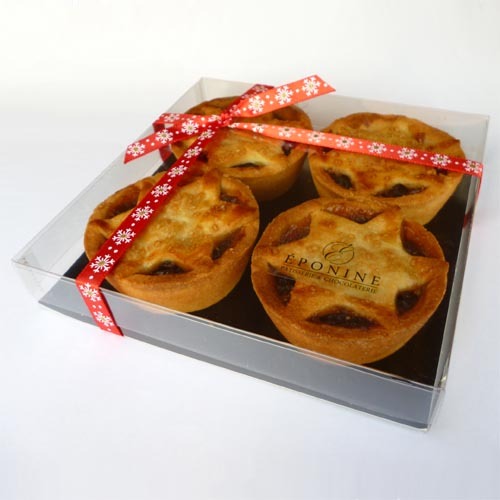 As we were mainly showcasing our chocolate products, we weren’t sure how popular mince pies would be at the BBC Good Food Show, but needn’t have worried – we blasted through stock that was meant to last us until Christmas! Time to bake more methinks…. Whilst at these shows, it’s always nice to sneak away from your stand for a while and take time to see the whole place and other producers. It gives us a chance to not only participate in a little retail therapy ourselves, but also to look for new producers and meet potential new suppliers. It’s also a great to bump into some familiar faces, such as Eyewood Designs, Black Dog Wine Agency, Dough it Yourself, and Brazilian Kiss. 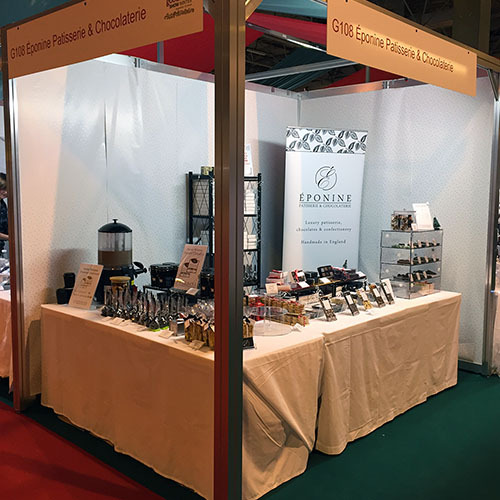 Being a national show, we also got to meet some new companies in the chocolate business from a little further afield, including Berries from the Isle of Man and Fifth Dimension from London. It was wonderful to have the opportunity to meet and chat with a number of like-minded chocolatiers from all over the country, and compare our experiences and journeys to where we are now. We were also lucky enough to be interviewed for the show’s podcast. Click the player below to listen, or access the full list of podcasts via BBC Good Food Show Winter Podcasts.